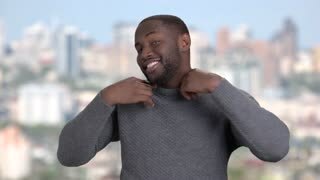 Cheerful man is dancing on blurred background. 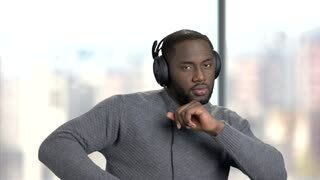 Portrait of handsome afro-american guy in casual wear singing and dancing. Black guy is flirting with someone. 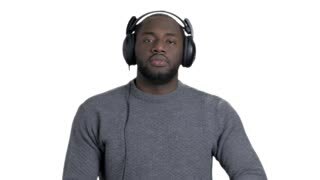 Black afro american man with headphones. 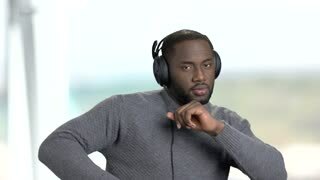 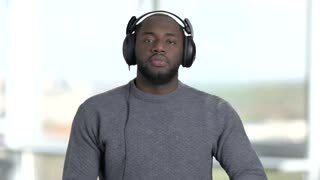 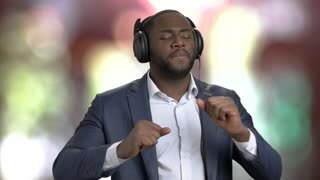 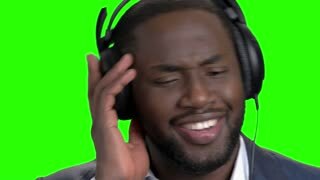 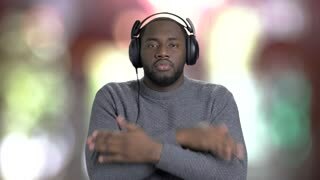 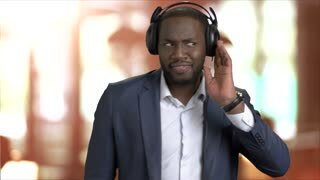 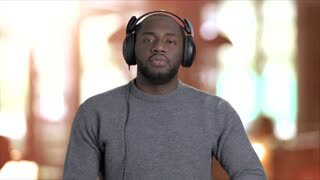 Portrait black man listening music and dancing indoor.